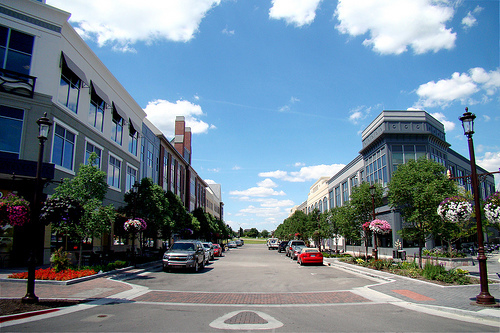 The city of Leawood occupies 15 square miles in the Kansas City Metropolitan Area. It's part of Johnson County with a vibrant population of 35,000 residents. Leawood lies immediately east of Overland Park, with Prairie Village at its northern border. Leawood's rich history dates back as far as Daniel Boone's explorations in the early 1700s with the French and American traders. It wasn't until much later - the 1920s - when Oscar G. Lee purchased land and began development of what is now Leawood. The city was incorporated in 1948 and has experienced significant growth ever since. Leawood has the allure of a suburban community, with big-city amenities nearby. Many beautiful Leawood neighborhoods are known for their massive, well-groomed properties and sprawling homes. Ironhorse Golf Club, Country Club of Leawood and Hallbrook Country Club are top-notch facilities for entertainment, while Town Center Plaza provides exceptional shopping and dining. New Concept Auto Service is a family-owned and operated business, proud to provide honest and reliable auto repairs to the residents of Leawood. We are located just five miles west on the Old Santa Fe Trail, which we know today as 87th Street. We back all our repairs with a three-year, 36,000-mile warranty, and have been AAA approved for 30 years. See us for all your automotive repair and service needs.